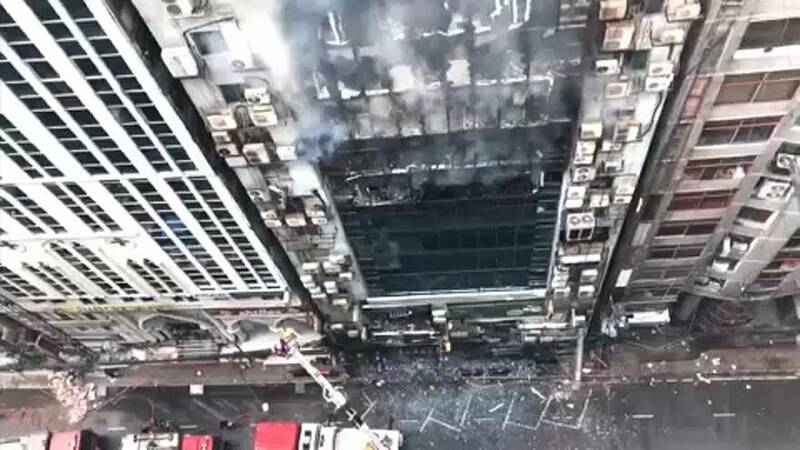 More than a dozen people were killed after a fire broke out in a high-rise building in the Bangladeshi capital Dhaka. Firemen on extendable hydraulic platforms were raised up the side of the building in heavy smoke to rescue those trapped. People were seen waving frantically from the building's windows and roof, witnesses said.